So, you're all snuggled up in your heavenly pepperoni pizza bed and have just drifted to sleep, when suddenly, you jerk awake for no good reason. What the hell gives? Well, it turns out there's a logical explanation for the common -- perfectly normal -- annoyance. Specifically, Professor Gaby Badre, an expert on sleep at the London Clinic, said the phenomenon is called "hypnic myoclonia," and it could happen to you if you've got an irregular sleep pattern, if you're tired, or if you're stressed out, according to a report by the Independent. Basically, it's likely the jerking will keep happening to you whether you like it or not. Normally, you go through three stages of sleep: light slumber, deep slumber, then rapid eye movement (REM). But as Badre explains, being tired or stressed could result in hitting REM sooner than normal. 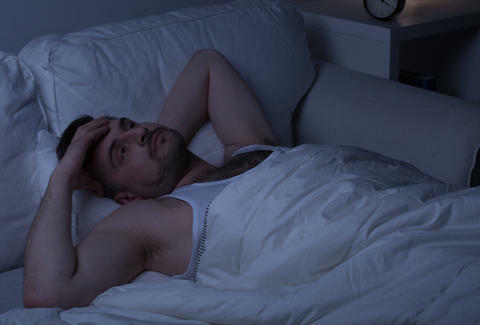 When that happens, it's possible that despite the fact that you're sleeping, your muscles haven't had enough time to relax, which then causes you to jerk and wake up, per the report. Tony Merevick is Cities News Editor at Thrillist and feels like this happens to him all the time. Great. Send news tips to news@thrillist.com and follow him on Twitter @tonymerevick.